Born in Reno, Nevada in 1933, Otto Henry began to compose and play the French Horn in high school. He received two degrees from Boston University (B. Mus., A.M.-1960) where he studied music composition with Hugo Norden and Gardner Read. His taught at Washington and Jefferson College in Washington, PA where he chaired the music department and built his own electronic music studio. In 1965 he completed his Ph.D at Tulane University. In 1968 Henry joined the faculty of the School of Music at East Carolina University where he taught composition, history and ethnomusicology for 30 years until his retirement in 1998. 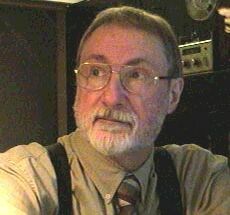 Among his many composition are "Phoenix, Burning" - for magnetic tape, "Liberty Bell" for percussion and tape, and "Sanctus," an aleatoric mass movement for SATB choir that won the Mars Hill College choral award and the Honigman Music Cup of the NC Federation of Music for 1977.